Harry John Shrimpton was one of 4 sons born to Joshua and Mary Shrimpton. He was born in Thame in the summer of 1882, living in East Street. In the summer of 1909 he married Gladys Gwendoline Smith, and moved to 66 Park Street, where they had three children. 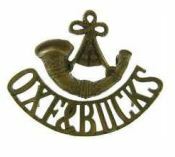 Formerly a member of the Queens Own Oxfordshire Hussars, retiring with the rank of Corporal, when the National Reserve was raised in Thame he became one of its first members, and joined Class I, volunteering for general service. When war broke out, he went up with several other reservists, and was drafted to the county’s regiment, the Oxf & Bucks Light Infantry. On 20th May 1915, Harry, having recently been promoted to corporal, entrained for France with the 5th Battalion, part of the 14th Division, 42nd Brigade. 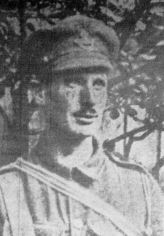 In September 1915, probably as a result of the battalions action at Bellewaarde Farm, he was recommended for a decoration, and awarded the Military Medal. 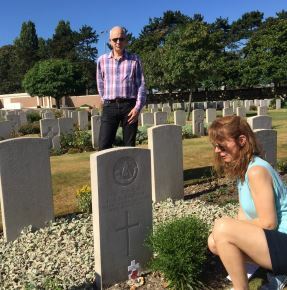 During the Battle for Delville Wood in August 1916, and having again been promoted, Sergeant H J Shrimpton received a mortal gunshot wound to the chest, dying of his wound in hospital in Rouen on the 30th August 1916. He is buried in the St Sever cemetery, Rouen. He is remembered in Thame on the Town Memorial, and also the St Mary’s, All Saints and Christchurch Memorial Boards.